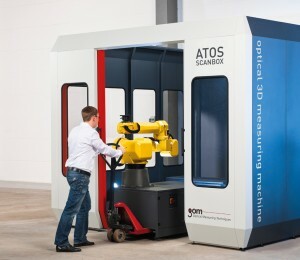 The ATOS ScanBox 6130 for components with a diameter of up to three meters is the newest addition by Gesellschaft für optische Messtechnik (GOM) to its ATOS ScanBox series, which now comprises three versions, and its largest model so far. The fully equipped plug & play measuring cells combine industrial hardware with reliable software for production-related inspection and quality control. Equipped with the ATOS Triple Scan 3D sensor, the ATOS ScanBox is an industrial optical 3D measuring machine. 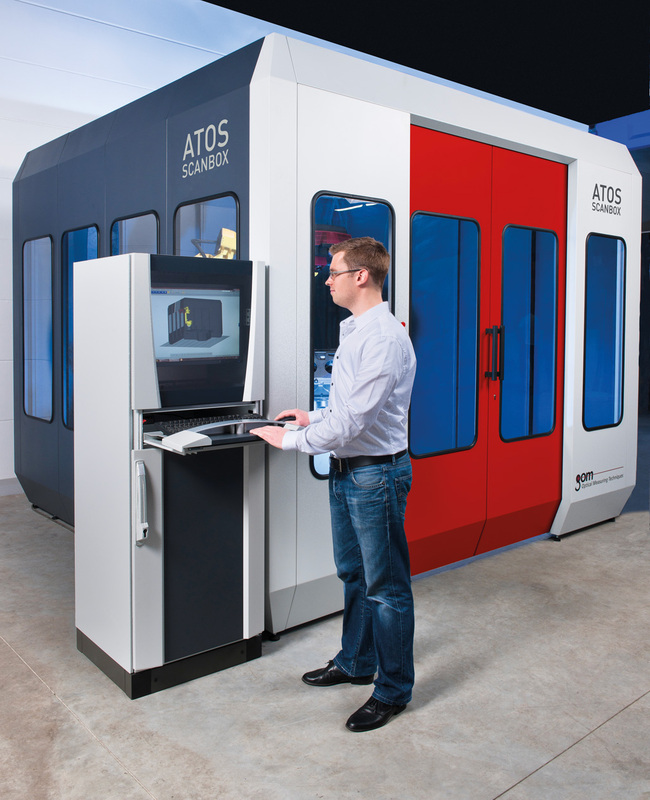 In contrast to conventional tactile coordinate measuring machines (CMM) the ATOS ScanBox, however, is not stationary but can be set up and put into operation within one to two days. Moreover, GOM’s mobile and ready-to-use complete solution provides additional functions, such as complete surface measurements of small and large components, easily comprehensible visualizations of the results for highly precise troubleshooting, as well as detailed reporting. The ATOS ScanBox already comprises all the elements required for fully automatic 3D digitizing and inspection. The completely integrated system includes hardware, software, industrial safety, documentation and a worldwide customer support. No additional planning or investment is required from the user – all that is needed on-site is a single power socket for bringing the measuring cell into service. 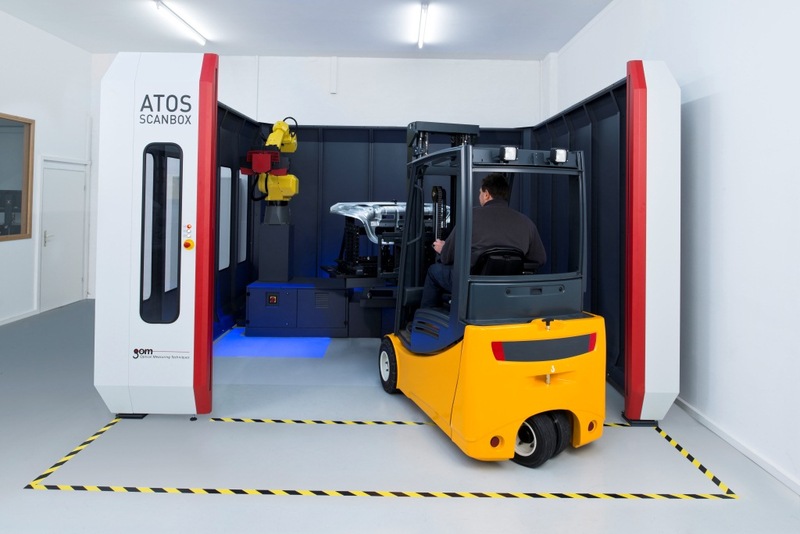 The quick and easy on-site installation of the ATOS ScanBox expedites its implementation in the user’s process chain and measurably reduces operating costs. The ATOS ScanBoxes can be transported from one location to another and integrated into new product processes within a very short time. At sizes of 2 x 2.5 meters and 3.3 x 3.3 meters, the two models 5108 and 5120 are able to accommodate components with maximum diameters of 80 centimeters and 2 meters, respectively. The new version 6130 of the ATOS ScanBox now introduced by GOM allows 3D digitizing and inspection even of components with a diameter of up to three meters. 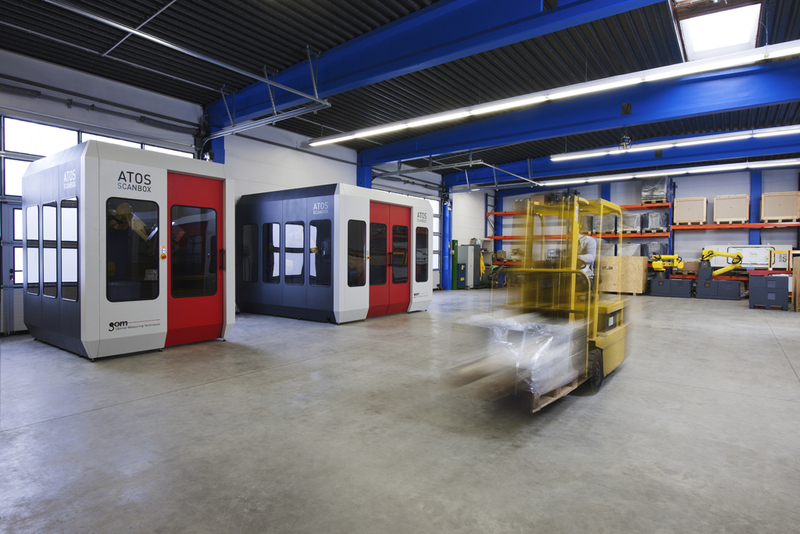 The exceptionally spacious measuring cell with a footprint of 4.25 x 4.25 meters is equipped with a light barrier system instead of sliding doors in order to easily receive large components. 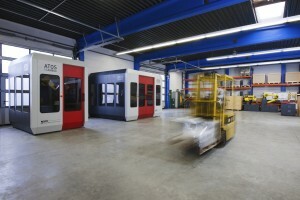 It can be loaded directly, using palette systems, by means of a crane or forklift. 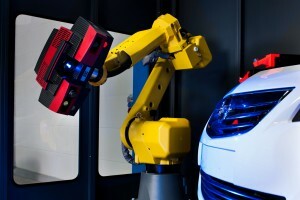 The mobile turnkey solution for automated shape and dimension analysis with inspection planning, robot programming and inspection reporting has already convinced customers from the automotive, aviation and aerospace industries as well as from the consumer goods sector. They include OEMs and suppliers such as Daimler, VW, Rolls Royce, Bosch, Eisenwerk Brühl, Dräxlmaier, Delcam and many more.